With a flair for the written word and an eye for detail, I write compelling, persuasive and accurate copy to suit any campaign or audience. Copywriting projects have included entire websites, fashion sales material, mail-order catalogues, awards brochures, advertising straplines, biographies, industry guides and content for digital apps. Clients include Google, Abbey Road Studios, Universal Music, EMI, Warner Music, UK music trade body the BPI, the British Video Association and Celtic & Co. 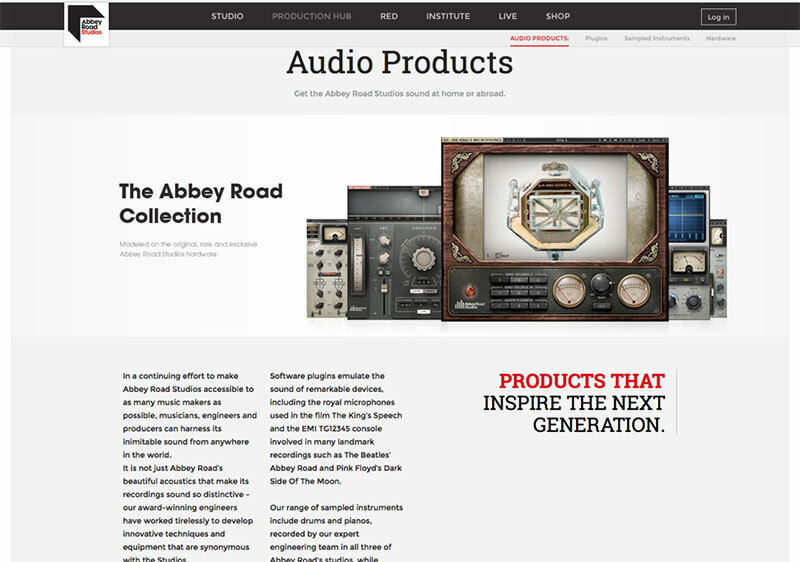 Recent projects include writing all elements of a newly rebranded Abbey Road Studios website involving e-commerce, and creating an interactive iPad app for the Studios. 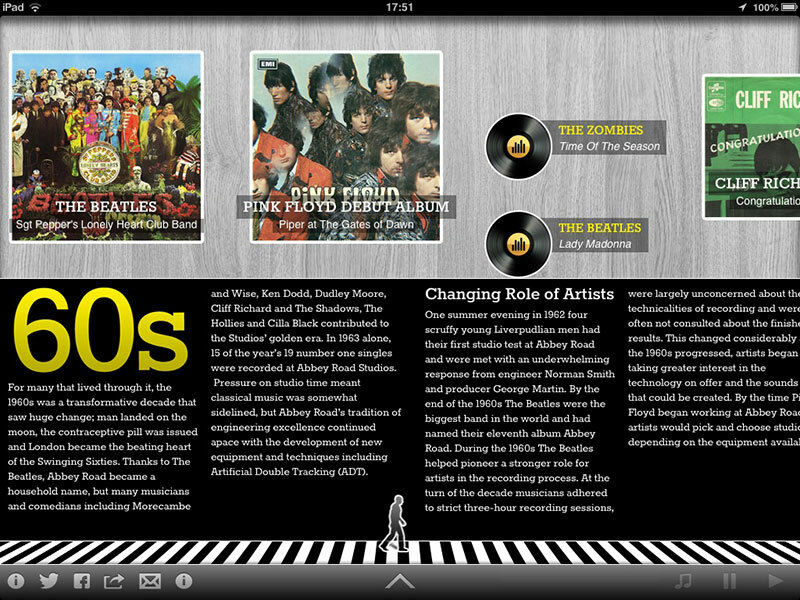 The app provides an insightful look at the history of sound recording and the Studios’ place within it, all delivered in digestible, dynamic chunks.